The number of intermediate moves is almost endless but we have a set of standard intermediate moves you'll come across or variations on these standards. The benefit of a workshop like this is the intensive session for working on favourite and commonly used intermediate moves with two teachers. This is especially useful if you find that the jump from beginners to intermediate is very daunting. Knowing these moves will help ease the transition. This is one of our Four Foundation Workshops. We recommend all dancers attend these workshops at least once during their time with us. In fact we think the content of each workshop is so important that for a given role (lead or follow) dancers who have already attended one of these workshops can attend the same workshop again at a discounted rate. Content is available online after the workshop. We may limit the number of couples but don't worry this workshop is usually held twice a year. You do not need a partner to book a place on this workshop as we aim to match up leads and follows. Please aim to arrive before the scheduled start time to warm up and get ready. Because we aim to have even numbers arriving late impacts negatively on your fellow attendees. Most workshops will follow a standard pricing. Occasionally we'll have guest teachers and the length of the workshops may be different, in which case the pricing may differ. If a Tea Dance is held on the same weekend as a workshop then entry is free in which case we'd really appreciate it if you could contribute a small plate to share at the Tea Dance. 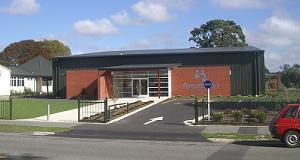 The school is located on Avonhead Road just up from Yaldhurst Road. There is some parking near the hall within the school as well as plenty of street parking nearby. The entrance to the hall is at the front of the building near the road. ©Fevah Modern Jive - "Rebuilding Christchurch One Dance at a Time"